As AR has got more popular these days, there has been an increase in Augmented Reality Games for iOS devices. AR is the short abbreviation for Augmented Reality. Augmented Reality is the augmentation of virtual objects into the physical view of a user. Augmented Reality can be implemented as a direct view with the help of headsets like Mira Prism or as an indirect view, say through the viewfinder of a Smartphone camera. Augmented Reality is different from Virtual Reality. In Virtual Reality, the entire world is virtually rendered to the user and in Virtual Reality, the user just sees virtual objects or scenarios in their real-world experience. iPad Pro (all three variants). Simply put, Apple devices running on the Apple A9 chipset and above supports ARKit and can run AR apps for iOS. So, all the Apple iPhone models hereafter will support AR apps. Below is our detailed list of all the best Augmented Reality Apps for iOS devices that are currently available. Fitness AR for iOS is an application that lets you explore your fitness activities like runs and Strava app based bike rides with a touch of Augmented Reality. Using Fitness AR does not require a user account. Once you install the app, you can choose the type of activity and the route you wish to explore and then you can watch the entire route and map in a more detailed fashion. 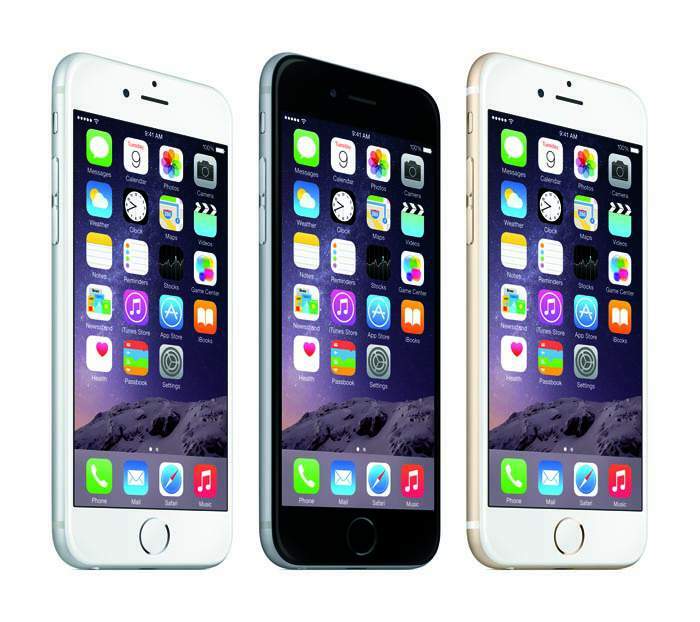 The Google Translate iOS app lets you translate between 103 languages. You can also use the Google Translate app without internet access and also get an instant speech translation as well. 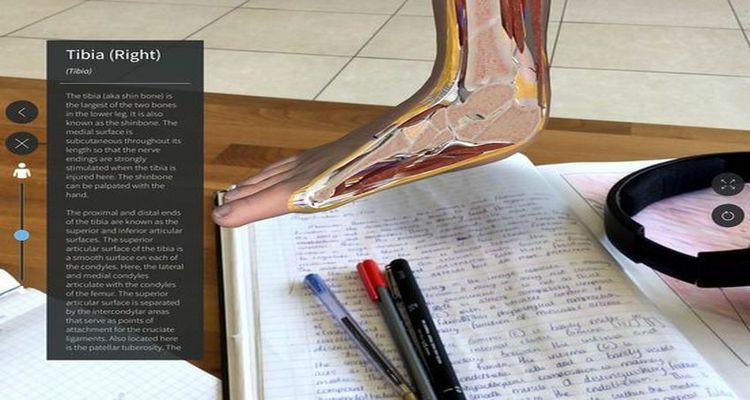 Google Translate now makes use of Augmented Reality technology to let you scan text using the camera and get an instant translation to any language of your choice. TapMeasure is an application that lets you measure, model and geometrically analyze space around you. Using this application, you can build a render of your room that can be exported to other apps to work further, measure distances within tight spaces accurately and also make sure that artwork and other objects are placed level. There are more features in this app that can help you in creating a perfect plan to organize and design your living space. The AR Measurekit application makes use of AR to help you measure real-world objects around you. You can use this application to measure lines, distance, angle, depth, height and more. This application can also be used to do important measurements like the dimensions of a room using just your device’s camera. Pokemon Go is one of the best and most popular AR Games for iOS Pokemon characters. 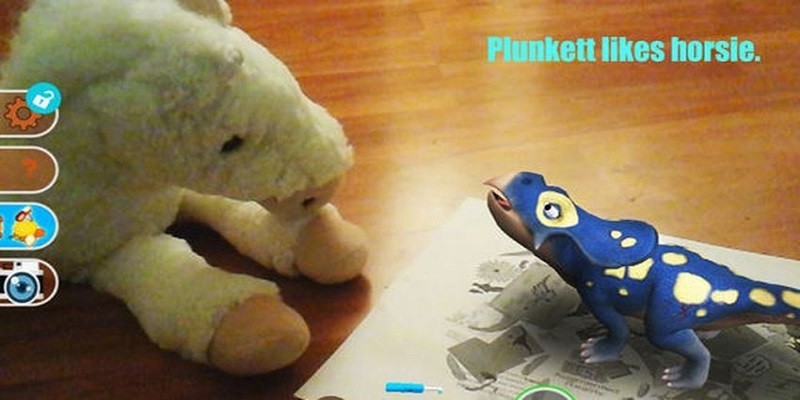 You can find, capture and train the Pokemon characters in Augmented Reality. One among the popular AR Games for iOS devices is Mammoth Mini Golf AR. This game brings ice age styled experience of playing golf right into your living room. You can set the golf course wherever you wish to and even play with your friends. This game lets you enjoy the best experience of playing golf along with some funny setting and character portrayal. Download Mammoth Mini Golf AR. Stack is one of the really popular iOS games that were released earlier and now there is an AR powered version of Stack. In the game of Stack AR, your objective is to stack the moving blocks as high as possible. And now with AR integration, you can play stack anywhere. 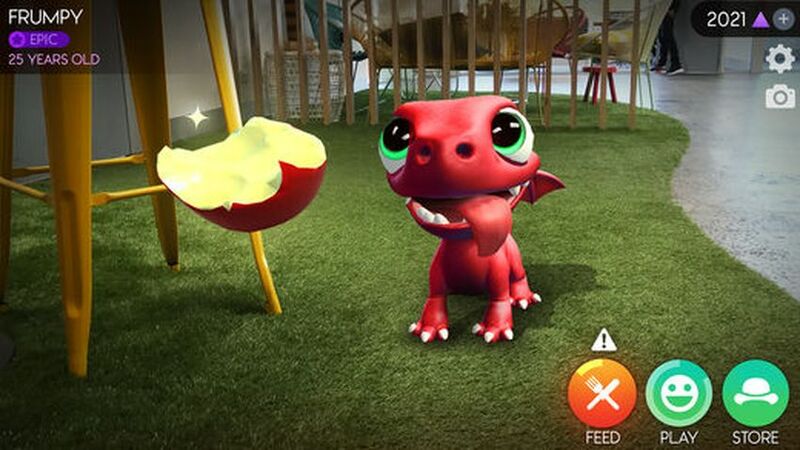 AR Dragon is one of the unique and interesting virtual pet simulation AR games for iOS. In this game, you will have to hatch your own dragon and take care of it as it grows. As each day passes, your dragon will grow in size and age. You can also train, feed or play with your dragon and also try out unique skins and other collectibles on them. Dino On My Desk AR is an application that lets you carry around a virtual dinosaur pet named “Plunkett the protoceratops” wherever you go. The dinosaur character can react to the surrounding and also to your actions to the animal so as to create a very impressive and interactive virtual pet experience. INKHUNTER is an Augmented Reality App for iOS that lets you project and check out any tattoo design on any of body parts so as to check how it looks. You can upload the tattoo work that you wish to project from your device gallery or choose one from the many that are available within the app itself. 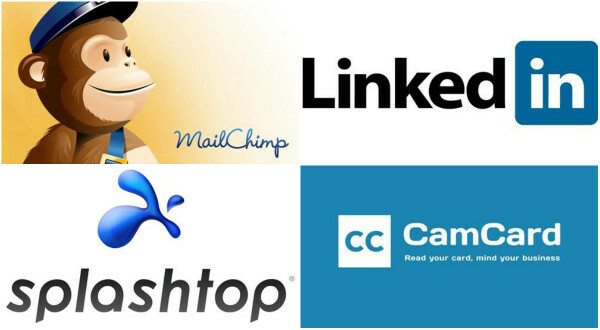 Layar is an application that lets you enjoy everyday content in Augmented Reality. Scan magazines or products with Layar enhanced QR codes in order to view specialized content in AR style. You can also use this application to check out items in AR before buying them and also to find nearby attractions. If you love coloring then you will love the Quiver – 3D Coloring app for iOS. This application combines coloring with Augmented Reality to bring out the best experience of old-school coloring without requiring a coloring book or color pencils. 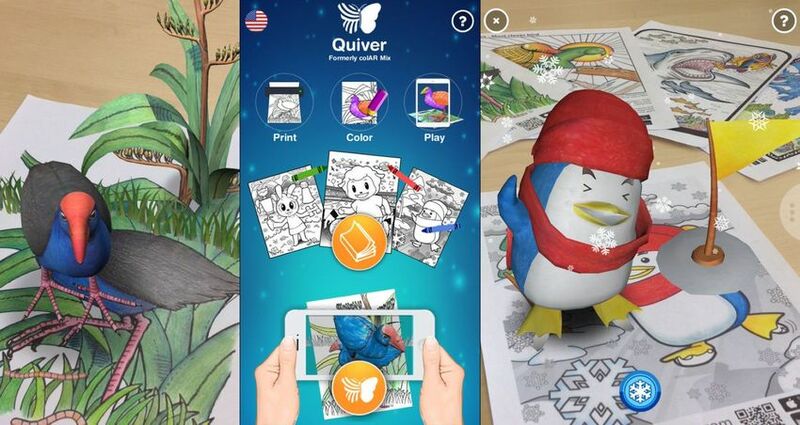 Download Quiver – 3D Coloring. The Paint Space Augmented Reality App for iOS lets you enter custom effects and drawings onto your photos and videos so as to bring your imaginations to reality. You can use this to add effects like fireworks and snow onto images or video or create your own artwork using colors and even brushes. World Brush is an app that lets you draw and paint in the real-world locations. All paintings and drawings are anonymous and are mapped to the exact GPS location from where it was done. Other users can like, dislike and also even report the artwork within the app so as to promote good artworks. If you do not want others to see your painting, you can set them to be private as well. Ikea is one of the globally popular furniture manufacturer and seller. The Ikea Catalog AR app for iOS lets you check out whether the furniture available in Ikea will suit your living space before actually buying them. Using the Ikea Catalog app, you can also create boards featuring your favorite living space designs for others to see as well. Houzz Interior Design Ideas app will help you find the perfect way to decorate, build or renovate any interior or exterior part of your home. There are over 14 million HD photos to choose from and also the chance to get suggestions from over 1 million professionals in designing and building to create your perfect home both in and out. The Transparent Earth AR app for iOS lets you check out how the Earth will look like if it were transparent. 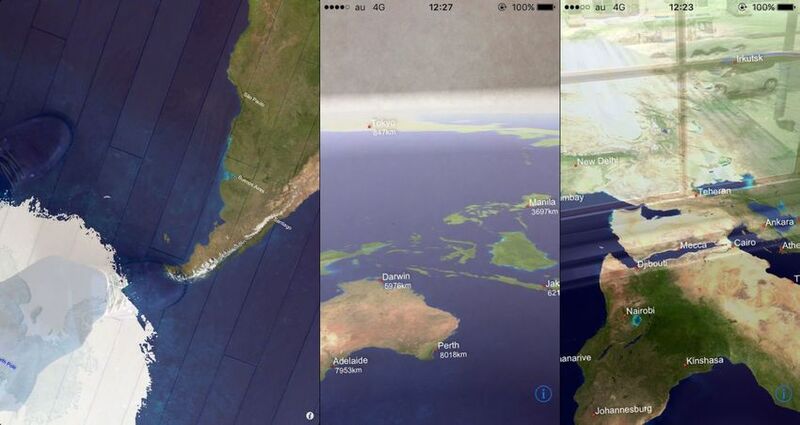 The application will show you the location of major cities on Earth with amazing effects. The Animal 4D+ app allows you to scan printed version of animal cards and see the animal come to life within your iPad or iPhone screen. This application is the best and most unique way to teach your kids about animals and facts related to them. Regardless whether you are an adult or a kid, this app is surely going to amuse you. Star Walk is an application that lets you gaze into the sky and recognize stars, constellations and more. If you are someone who is interested to know more about what is out there, then this application is what you need. Apart from constellations and stars, the Star Walk app can also let you recognize and get information about more than 200,000 celestial bodies. Holo is a photo and video AR app for iOS that lets you insert holograms of animals and even real people to take photos and videos featuring them to share on social media platforms and also to save on your device. GIF messages are a fun way to bring life into conversations. How about adding GIF effects onto your real world using AR? That is just what the Giphy World app for iOS does and it is surely an even more interactive and lively way to get the conversation going in social media. Carrot Weather is one of the most powerful and accurate weather apps out there. Not only does the application offer you with accurate predictions of weather but presents it in a funny way with comic dialogues and AR powered sceneries for each weather prediction. Flightradar24 lets you track any flight in real-time anywhere around the world and also get detailed information about the flight such as aircraft details, journey details and more. With AR integration, point at an airplane in the sky and get instant information on the journey of the flight. The Complete Anatomy 2018 is the best application to study about male anatomy with models. This application also features several other learning tools so as to get better knowledge of male anatomy. Female anatomy for this app is currently under works and will hit as an update pretty soon. Spyglass is an AR powered off-road and offline GPS navigation app for iOS. This application have really useful features like a compass with support for offline maps, GPS receiver, co-ordinate converter and even can function as binoculars. 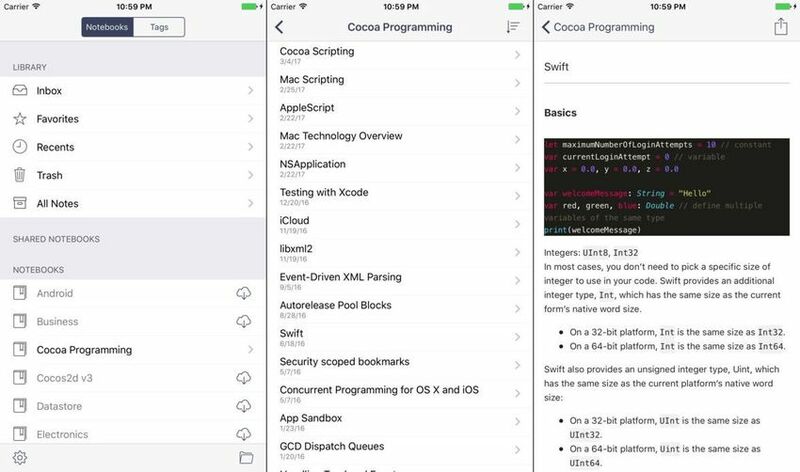 Quiver is a note taking app for iOS. This application lets you open an existing note from within the app or open a shared note that is stored in Dropbox or a WebDAV account. 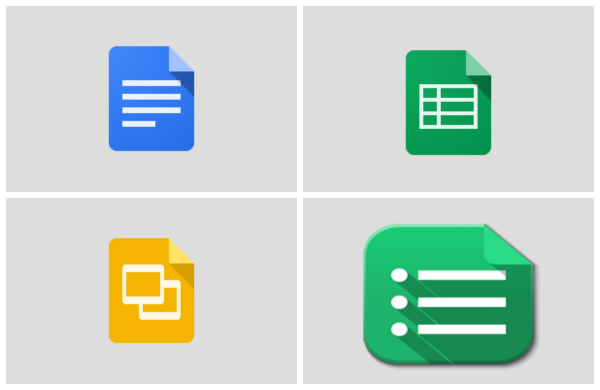 You can also select the notebooks that you download or open any note to just read. This application is lightweight and works without an internet connection as well. Flow is an application that lets you scan everyday objects like books and get instant results related to the products from Amazon.com. This application provides you results with reviews, product listing and more directly from Amazon.com so that in case you are interested to purchase the product, you can do so conveniently. The above-listed apps and AR Games for iOS are some of the best and popular AR apps for iOS that really takes advantage of AR support on iOS devices. As more and more AR powered apps begin rolling out for iOS, we can see AR getting into more and more variety of applications. If you are using the AR apps or AR games for iOS that are listed above, then do share your experience about the app as comments below.